We can directly change the screen resolution on our PC, and it will automatically alter the text on the Display screen. Similarly, by changing the DPI on the Android smartphones, we can adjust the size of text and resolution. DPI refers to the Pixel Density of your device, which is the ratio of the screen resolution to the display size of your device. Users want to change their device’s DPI due to various reasons. While some manufacturer OEMs offer this feature in their devices as part of their modifications to the Android, the ability to change DPI is not available in stock Android ROMs before Nougat. But thankfully, DPI can be changed by accessing few UI tuner permissions using ADB, without root. 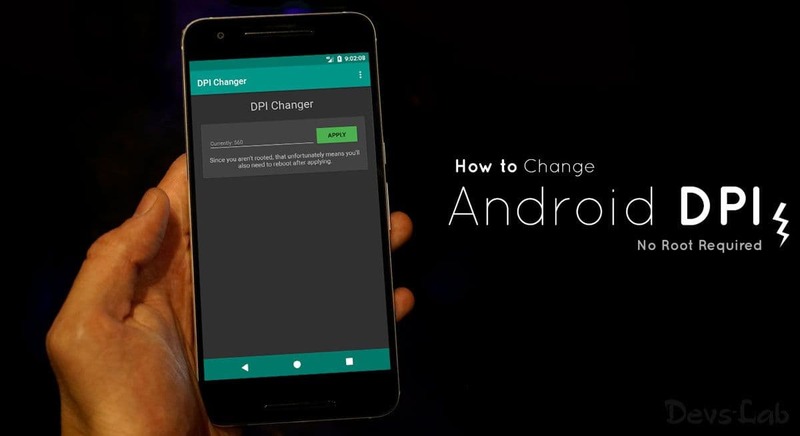 Here follow our guide, how you can change the DPI of your Android device. Screen density is a ratio of resolution and display size, which can be quantified as dots per inch, or dpi. The higher the dpi, the smaller each individual pixel is, and the greater clarity. Simply put, a higher dpi means more detail is displayed per inch, but does not necessarily correlate with a higher screen resolution. Tap on “Display Size” and use the slider to change the DPI of your device. Additionally, you can alter the font size as well to set your preferences. Also read: How to get Android O Navigation bar and Launcher on your Android Device. 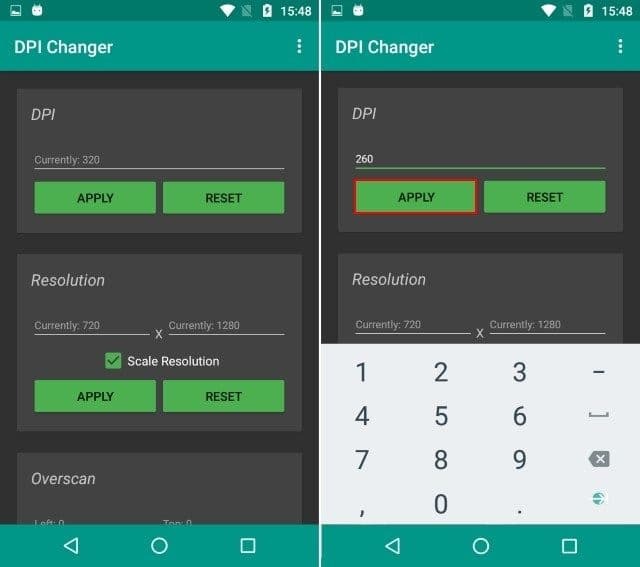 Open the Play Store and install the DPI Changer app. Once you open the app, it will now check for root access. 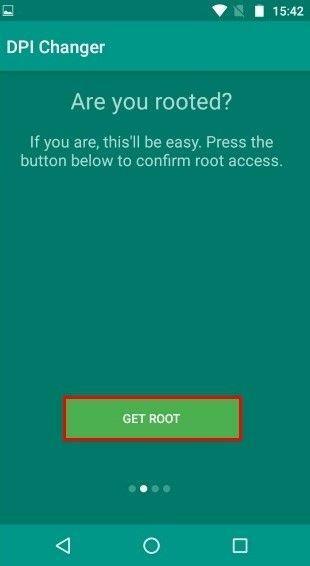 Tap on the “Get Root” button to allow the app to check for the same. If your device is rooted, you’ll come with a screen saying that “root access has been granted,” and you can proceed with changing DPI. 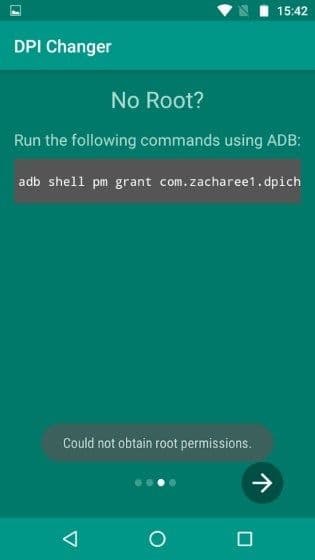 If your device is not rooted, you’ll come up with a screen that said, App would require you to run a command via ADB to proceed. Note – The proceeding steps require you to have ADB and Fastboot and their drivers installed onto your PC. Click Here for instructions on installing and Using ADB and Fastboot. 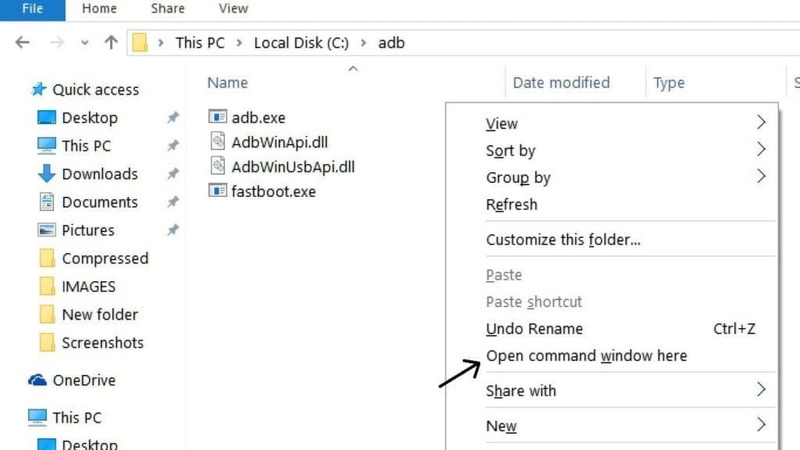 Now, connect your device to your PC and Navigate to the ADB installation folder. Now right click on the screen, while holding a shift key then select open up a Command Prompt or Powershell here. The entered command should give the app the permissions it requires. Once done, This completes the setup. Next, A dialog box pops up, asking you whether you want to continue with the modified settings or reset. Just tap on OK, and you can witness the new DPI on your device. Also read: 10 ways to customize the Google Assistant in your device. While the app changes the DPI in real time, we still recommended rebooting your device. We hope users can quickly change their device’s DPI using this method. However, if you have any doubts, Please comment below.